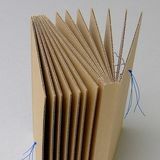 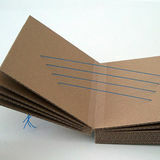 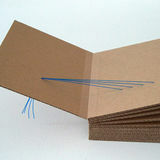 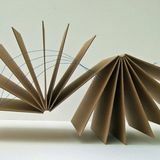 A bookwork that can be browsed page by page or looked at as a sculpture. 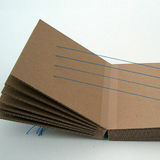 Elastic threads replace the printed text lines. 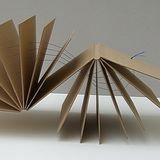 They spiral through the book along the four edges usually formed by the text-bloc - changing direction when the spine swaps side.